Hello Masterworks fans! Your friendly webhost Gormuu has received word direct from Marvel about a full accounting of changes to the Masterworks program. We've heard rumblings about a few of these changes, but now we will know the full scope of the thing; what the next year holds for us Masterworks fans! In detail!!!! Here's the text of the email I got from Cory. Sit tight and read on! Its been a heck of a month. The Masterworks are in full-swing production now. Weve almost hit the halfway mark with 15 books at the printer, and earlier this week final copies of six titles landed on my deskthey look phenomenal (variants, too!). You can expect the next batch of variant solicitations to roll out the first week of April. These will include two of the key reMasterworks volumes, so its time to pull the lid off of the changes. Collects Amazing Fantasy #15 and #1-10. Fully recolored to match the original issues. The pinup pages from ASM Annual #1 have been pulled, the pinup from #3 has been correctly associated with the issue (previously in Vol. 2), a bonus page from ASM #1 has been added and Ditkos unused covers to Amazing Fantasy #15 and ASM #1 have been included as bonus items. Collects #11-19, Annual #1. Annual #1 has been shifted into this volume to its correct chronological placement. All 72-pages of the annual will be printed in their entirety for the first time, including fourteen pages of previously unreprinted material. #20 shifts from this volume to Vol. 3 to maintain the $49.99 price point. Collects #20-30, Annual #2. Annual #2 shifts into this volume and will feature all 5 pinups, two of which were not included in previous Masterworks editions. The pinups to #20, 21 and 23 have been associated with the correct issues. #20 moves into this volume from Vol. 2. Annual #1 moves out of this volume to Vol. 2. Collects #31-40. Annual #2 moves to Vol. 3 to its correct chronological placement. Collects #41-50 and Annual #3. Collects #1-10. The Captain America pinup from #10 (previously seen in Cap Masterworks) moves to its correct placement in this volume. Collects #11-20. Previously unreprinted Kang pinup from #11 added. Collects Tales of Suspense #59-81. This volume will now feature the covers for Tales of Suspense #59-81 in the interior contents. 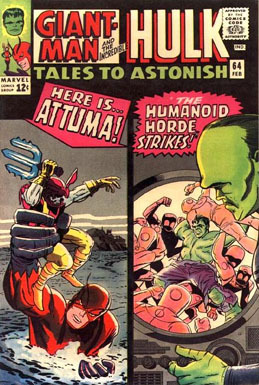 Features the Ditko pinup from Strange Tales #128 as the new cover piece. This completes the interior reprint content of Strange Tales #110, 111 and 114-141. Collects #1-11. Now includes the DD pinup from #5. Collects #1-10. Fully recolored from the original issues. This volume now includes the pinups from issues #2, 3, 4, 8, 9 and 10, some of which have never been reprinted before. Collects #11-20 and Annual #1. FF Vol. 2 will now include Annual #1 in its entirety for the first time. Including never-before reprinted pinups, the FF Questions and Answers page and Inside the Baxter Building features. Pinups to #11, 15 and 16 have been added. #11 is presented with the stories in the correct order with the Impossible Man story as the backup feature. Kirbys unused covers for #3 and Annual #1 have been added as bonuses. Collects #21-30. Fully recolored from the original comics. Annual #1 shifts out of this volume to Vol. 2. Collects #31-40 and Annual #2. Fully recolored from the original comics. Collects #41-50 and Annual #3. Fully recolored from the original comics. Collects #51-60 and Annual #4. Collects #1-6. All six covers have been restored and recolored to match the originals. 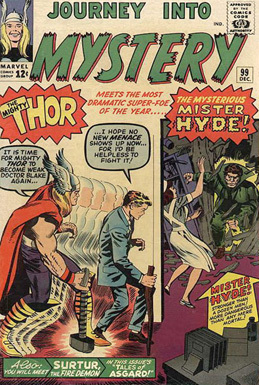 Collects Tales of Suspense #39-50 and the backup feature from #55. Collects #1-6 and the FF Annual #5 backup story. #6 and the FF Annual backup shift into this volume from Vol. 2. Collects #7-18. #6 and the FF Annual backup story shift from this volume into Vol. 1. Collects Journey Into Mystery #83-100. Tales of Asgard stories from #99 and #100 shift into this volume from Vol. 2. The Asgard pinup from Annual #1 shifts to its proper placement in Vol. 3. Collects Journey Into Mystery #101-110. Tales of Asgard backups from #99 and #100 move to correct placement in Vol. 1. Pinup from #110 added. Collects Journey Into Mystery #111-120 and Annual #1. Asgard pinup from Annual #1 shifted from Vol. 1 to its proper placement in this volume. Pinup from #111 added. Collects #1-10. Now includes the pinups from #6, 8 and 9. Covers have been corrected to match the originals coloring. Collects #11-21. Covers have been corrected to match the originals coloring. Collects #22-31. Beast and Cyclops pinups featured as bonuses have been moved to their proper placement in Vol. 1. Collects Giant-Size X-Men #1 and #94-100. Collects #111-121. #121 has been added to complete the two-part Alpha Flight story. The Masterworks mass back-to-press is a unique beast. After discovering all of the various changes, omissions and incorrect placements in the Masterworks line, I was a bit surprised to say the least. To me the Masterworks should be a line that presents classic Marvel content in the most archival fashion our means allow. This being the case, I couldnt let the one-time-only opportunity of revamping and restoring the line pass by. Its my pleasure to say that virtually every change in the reMasterworks plan includes the addition of previously uncollected content. Not every change is as substantive as the huge additions to Amazing Spider-Man and Fantastic Four Annual #1, however, the final result is a line that collects archival and accurate presentations each and every title to the utmost of our ability. That is the kind of standard I want in place for the future of this line. And while they look at me like Im more than a little nuts, the support Ive received from the Marvel Special Projects team has been invaluable. Special thanks go out to Tom Brevoort for passing the flame and the limitless knowledge of the Big Marvel Brain, Ralph Macchio for the generous access to his Marvel library. This project would have been impossible without their generous assistance. Thanks also go out to Jeff Youngquist (Special Projects bossman), Matty Ryan (cover design master) and Patrick McGrath (interior design-smith) for helping make it all happen. Mays just around the corner, folks, and theres a great batch of books coming your way. Enjoy.